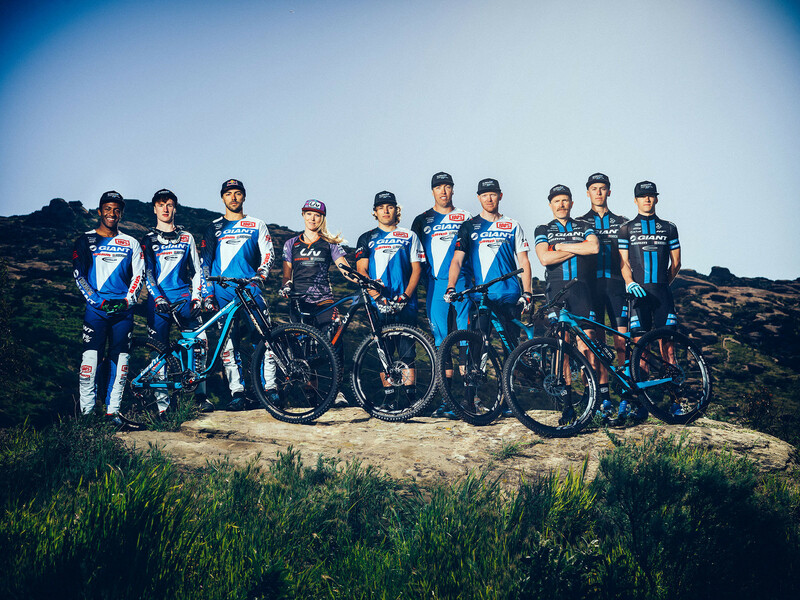 The 2017 Giant Factory Off-Road Team gathered in Southern California earlier this month for a pre-season training camp before the start of the upcoming race season. The new-look squad includes a global lineup of returning stars and new faces from around the world. With varying ambitions ranging from UCI World Cup Downhill races to Enduro World Series events and major XC races in North America, team riders spent time in California getting to know each other and dialing in their new bikes and gear before kicking off the race season March 25 at the Crankworx Rotorua event in New Zealand. This year’s roster includes ten riders representing six different nations. One of the most notable changes includes the addition of Rae Morrison, an enduro racer in the elite women’s category who will represent Giant’s sister brand Liv. The team is also expanding its XC presence at the developmental level with young American riders Stephan Davoust and Tofor Lewis joining. Other new faces this year include Jacob Dickson, a four-time junior national DH champion from Ireland; Eliot Jackson, a former motocross racer from the U.S. who scored top-10 results at two Crankworx DH events last year; and Mike Day, a former BMX star and Olympic medalist who has transitioned into mountain biking. Day will represent the team at select enduro events this year. Returning riders include six-time Colombian DH national champion Marcelo Gutierrez; enduro specialists Josh Carlson of Australia and Canadian Mckay Vezina; plus veteran U.S. XC racer Carl Decker. Here’s a look at the 2017 roster, along with photos of the riders with their new bikes, gear and apparel from official team sponsors. Rae Morrison will be aboard the Liv Hail Advanced for enduro racing, and will also be equipped with Liv gear including footwear, saddles and helmets. You can follow the Giant Factory Off-Road Team all season long at facebook.com/giantfactoryteam and Instagram.com/giantfactoryoffroadteam. About Giant: Giant is the world’s leading brand of high quality bicycles and cycling gear. Since 1972, Giant has combined craftsmanship, technology and innovative design to create the ultimate cycling experience for all riders, casual to competitive. Through its products, people and retail partners, Giant inspires passion for cycling all around the world. For more information, go to giant-bicycles.com. Sad that Rae's the only gal on the team for a brand with such a dedication to gals. Sadder still that she didn't get an action shot. Carl Decker's stache is almost as legendary as his riding. It's cool that they kept Adam Craig on as an ambassador. He and Carl are one of my favorite riding duos in the sport. Giant should've signed Keegan Wright. He was already riding a Glory anyway. Looks like an old school BMX team! Great team, its rad to see Eliot Jackson riding for them. But only one woman! Giant you need to step it up! !